Where's the demand for new logistics IT? Logistics technology research used to focus on a variety of siloed software solutions, but it has become so much more than that. 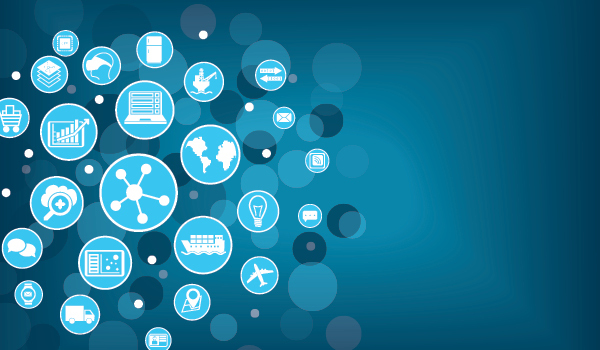 A drastic shift from even five years ago, the Internet of Things (IoT) now links a wide range of hosted and on-site software solutions to each other, including transportation management systems (TMS), warehouse management systems (WMS), enterprise resource planning (ERP), product lifecycle management solutions, inventory management software, and a slew of others—some directly and others indirectly related to an organization's supply chain. These solutions are tied to more data from hardware sources ranging from automated factory robots, to on-board truck devices, to GPS and RFID tags on cargo and packages. While the rise of big data once confused and intimidated some supply chain managers, the growth of artificial intelligence (AI) means all this gathered data gets handled efficiently with minimal human effort. The wide availability of cloud-based Software-as-a-Service (SaaS) solutions means even small- and mid-sized enterprises (SMEs) can now afford logistics software. Both SMEs and larger shippers have extreme visibility over their freight and the ability to identify and track key performance indicators in their operations. Meanwhile, constant monitoring of—and easy access to—the spot market means shippers can negotiate the best rates right alongside their larger counterparts. In its survey, Inbound Logistics asked logistics IT suppliers where they see growing demand coming from. Here are just a few of the many responses. Real-time visibility. "Shippers across all industries are exploring more user-friendly ways of tracking their shipments in real time to improve exception management capabilities." "Shippers are seeking real-time visibility technology for time-saving purposes, as technology allows logistics teams to instantly receive alerts on their shipments versus the traditional method of manually calling the dispatcher." Big data. "Supply chain managers are increasingly looking to leverage data insights to identify cost-saving opportunities. Unloading/loading times and DC efficiencies are just some of the metrics logistics managers seek as they look to further optimize the supply chain while lowering costs." New, modern software. "It's impossible to deliver a modern user experience on a legacy platform. Businesses are looking for new, modern software with a natural user interface created by designers (not just engineers) that reduces friction between people and provides critical business data." Improved tracking/tracing. "We see a need for improved load tracking versus tractor or driver tracking. Drivers and tractors can change and a tracking device needs to be in with the load. Only then can you have true load tracking. This will also become more critical as autonomous vehicles hit the market." "The product needs to be monitored throughout production through to retail or end user. TMS solutions need to aggregate all that information into easy-to-understand visuals and reports." Cloud solutions. "We are seeing growth in cloud distribution solutions particularly in the chemicals, automotive, furniture, and industrial distribution markets." Mobile apps. "Whether it's spoilage, damage, or theft, companies can no longer afford not to keep a close eye on their truckload freight. Mobile apps, combined with off-the-shelf sensors, make IoT-level tracking attainable, fast, and affordable." Blockchain. "Though still in its infancy, blockchain has been characterized as a disruptive technology that, if widely adopted, could enable a giant leap forward in supply chain collaboration and automation." E-commerce. "Smaller orders and each/single picking is on the rise across industries; technology to handle this will be essential." Our Top 100 Logistics IT Providers list, as selected by IL editors, complements the Logistics IT market survey. This annual compendium celebrates logistics IT service providers that are at the top of their game. Pulling together this Top 100 list demands a great deal of due diligence. Nearly 300 companies submitted questionnaires for consideration this year, and IL editors conducted a careful analysis via surveys, phone interviews, and online research to qualify and vet these selections.